Kelly Cunningham with a 38 in line sider taken just outside Townsend’s inlet only moments ago. Gotta love technology that picture is only five minutes old. Heard of a couple other stripers and blues being caught out by the S.I. lump. Looks like they are really staring to chew. P.S. Don’t forget about Sea Isle Bait and Tackle for your Christmas shopping. We have a large selection of rods, reels, special orders and shipping can be arranged and don’t forget about the gift certificates !!!!!!!!!!! Party Boat fishing. I have been getting some killer reports from the STARFISH the local party boat write hear in Sea Isle City. The new captain, Capt Mike Wielge formally of the Capt Robins is very committed to going every day. On the nice days thay have been running off to the deeper water for Sea Bass and Cod. On other days he has been fishing the inshore wrecks and reefs for LARGE Tog. For more INFO www.starfishboats.com or (609)263-3800. The tackle shoppe will be open before thay leave so you can stock up on extra hooks and sinkers. " IF YOUR NOT GETTING SNAGGED YOU ARE NOT IN THE WRITE SPOT"
Tomorrow 11-16-11 is the beginning of the greatest time of the year. Tautog season is OPEN. From 11-16 throw 12-31 the bag limit is 6 at 14”. 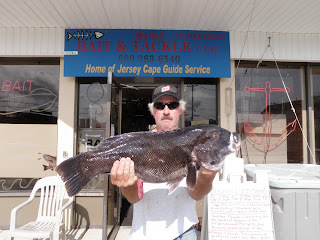 All of the reports thus far say the local wrecks have plenty of tautog on them. 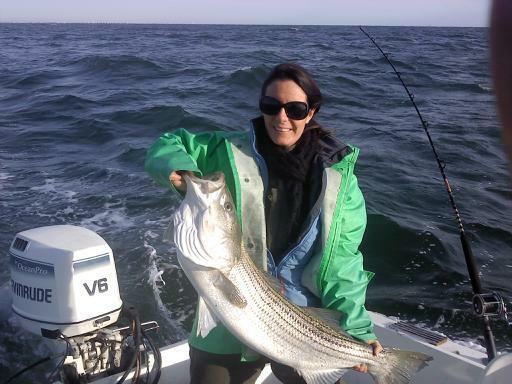 Stripers and blues are biting sea bass are in full swing and now tautog is open. Like I sad the greatest time of the year so get out there and have some fun. 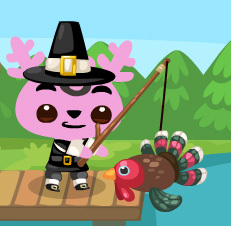 TACK A KID FISHING THIS FALL……. 2ndannual Jersey Shore Striper Tournament was a huge success.